A motor vehicle accident with injuries was reported to Worcester Police on Sunday around 6:00 pm. The accident took place in the 400 block of Lincoln Street. Worcester officers on duty responded to the scene shortly after receiving the call. They located the vehicles involved in the crash. Other units also responded. Medical treatment was administered to the injured victims as police worked to obtain the details of the crash. The cause of this accident remains unknown. Police will consider a number of factors, including speeding, reckless driving, failure to yield and inattention as the work to determine who is at fault for the crash. In the meantime, we hope for a speedy recovery for those injured in the collision. There is no immediate word on the nature of injuries sustained or the drivers involved in this crash. We will bring you further information as it becomes available. Car accidents are a familiar site to those who live in and around the Boston area. Boston police routinely respond to many car accidents each day. Some of these accidents involve only property damage while others involve more serious matters such as hit and run, OUI, reckless driving and severe or catastrophic injuries, including fatalities. Obviously, the more severe the accident, the larger the impact that the crash has on the lives of those involved. 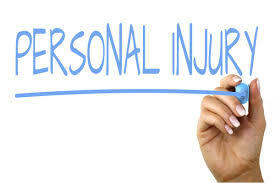 Whether you have been involved in a relatively minor crash with short-term injuries or a serious crash with long term or permanent injuries you should seek the help of an experienced personal injury lawyer. There is no such thing as a “little” car crash if you have been hurt. You have medical bills to pay and out of pocket expenses that need to be recovered. If the car accident was not your fault, you should not be expected to bear the full burden of your recovery. A Boston car accident attorney will use all resources available to you to ensure that proper compensation is awarded that will help you get through this time. At the Law Offices of Jeffrey S. Glassman, our attorneys all have extensive experience in the practice of personal injury law. We help Boston car accident victims receive the money they are entitled to following a crash. We are tough but compassionate and have experienced at the negotiating table and in the courtroom, if necessary. We do not back down when you are facing a tough situation. For a free consultation, give us a call today at 617-367-2900. We are standing by for your call.